It employs the concept of Building as a Learning aid (BaLa), devised by architect Kabir Vajpayi. What comes to your mind on hearing the words ‘Government School’? Leaky ceiling, students seated on creaking benches, cracked chalkboards and overgrown weeds surrounding an unpainted drab construction? Well, one Nagpur NGO is about to change that! 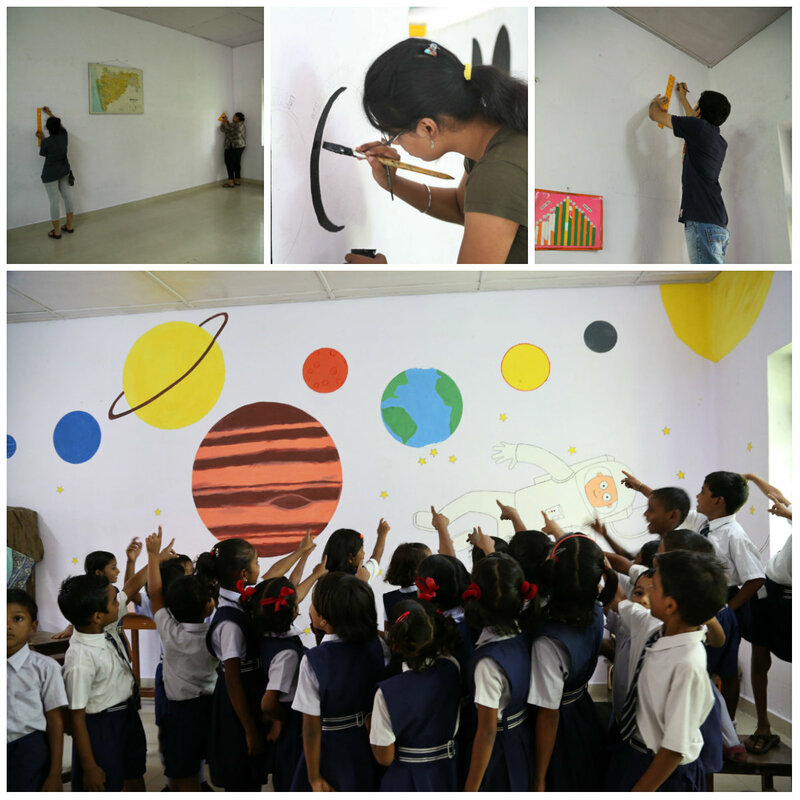 Zero Gravity, the youth volunteer entity of the Dr Shrikant Jichkar Foundation, has started the Happy School Project. It employs the concept of Building as a Learning aid (BaLa), devised by architect Kabir Vajpayi. The idea is simple - using the school building itself as a tool to improve the students’ learning experience. 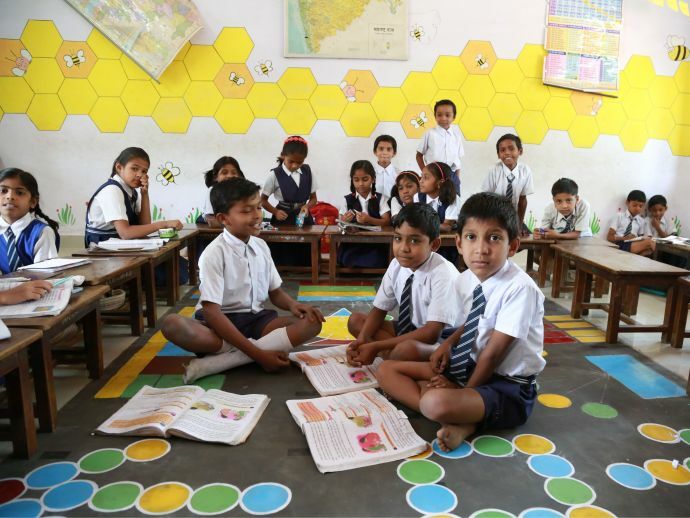 Children from the lower income groups in both urban and rural India are generally taught in government or municipal corporation-managed schools. 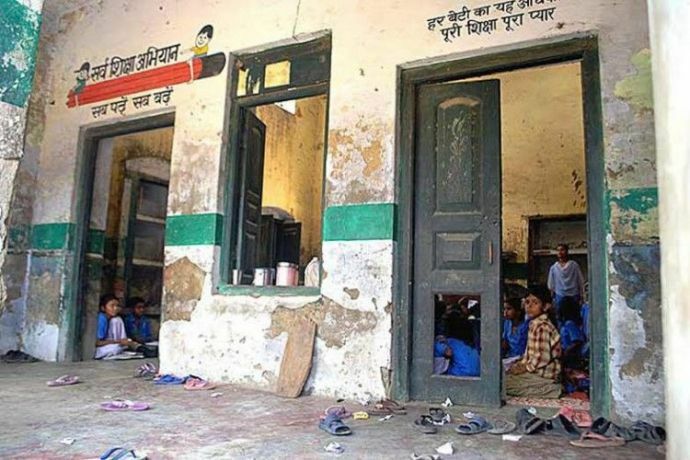 Whether out of unavailability of resources or plain apathy, the condition of these schools and the quality of teaching goes from bad to worse every year. Zero Gravity’s Happy School Project is an example of how the more privileged sections of society can help improve the lot of those who will grow up and play an important role in shaping the country. Guided by the vision of Dr Shrikant Jichkar, the celebrated educationist, politician and social worker who founded the innovative Sandipani School in Nagpur, this venture aims at transforming the learning experience in schools. 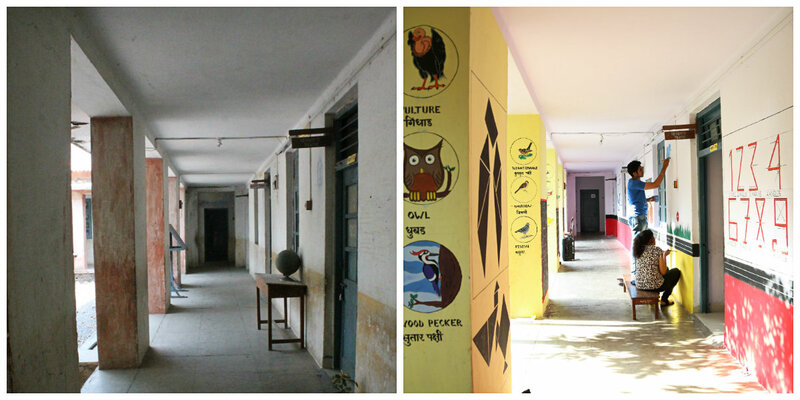 The project chooses a school in the city which could benefit from a makeover. The building is then studied and the folks at ZG plan how the building could be best renovated to serve as a learning tool. So the staircases could be painted so that they help children in learning counting, tiles on the floor could be used to teach them fractions, a corridor could be redesigned to help children understand distances, or pillars on the porch could help them follow the evolution of Man! Volunteers armed with brushes and paint commit to this task, usually carried out on weekends to avoid disruption of studies. It is an established fact that the classroom environment plays a vital role in encouraging students to attend school. A good number of schools in urban areas now design their premises with this understanding, but they are accessible only to children from middle- and higher-income families. With this initiative, three objectives are achieved- learning is made enjoyable for students, the community is engaged for a worthy cause, and awareness is generated about the pressing need for more student-friendly educational institutions. The Happy School Project has been implemented in three schools in Nagpur, with the makeover of a fourth school in the offing. In addition to these, the project is also renovating schools in Jalgaon, Pune, Aurangabad, as well as the tribal areas of Melghat. You can find out more about this project on Zero Gravity’s website and Facebook page. All images courtesy Team Zero Gravity.